Thank you for visiting our Northern California Dealer's Listing! Serving the following areas in and around San Francisco, Sacramento, Sonora, and San Jose. The entire Sacramento area has a huge demand for new dealers. We can also take your order but please call one of the dealers above for service or to increase the life of your vehicle. AMSOIL reduces fatigue and failure while maximizing horsepower and performance. 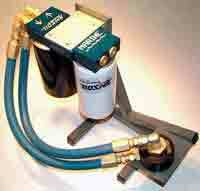 Be sure to look at our new oil and air filters which use nanotechnology for 100% guaranteed filtration. Please examine the Absolute Efficiency Air Filters or the 100% efficient at 20 micron Ea Oil filters. Remarkably these match the general interval AMSOIL engine oils are famous for which is 25,000 miles. In Albuquerque this saves your engine in higher than average dusty conditions. The core of our customers are average commuters and commercial businesses looking to cut costs in fuel and average vehicle life. AMSOIL is known for it's ability to reduce downtime and serious costly mechanical failures in all applications: Automotive, Heavy-duty Equipment, Compressors, Lawn and Golf Course Equipment, Marine, Motorcycle and more. AMSOIL knows what is best in your machine in the California fulctuating temperatures. And now AMSOIL is available in all northern areas from Sonora, San Francisco, San Jose, Pittsburgh and Sacramento. Local Sacramento demand has created a great need for more AMSOIL dealers in this area, especially in the outlying areas. You get excellent support from myself as I am part of one of the most resourceful AMSOIL dealer groups in the country. We can send local and web generated leads your way. The #1 question we get from local customers is, "Where can I find AMSOIL around this area?." Our distribution center can quickly have your product anywhere whether you need 2-cycle for your dirt bikes or ATV oil, or if you have a weed eater you need to last in the hot & dusty climate of central areas.